From Carp River return to Mackinac Trail. Turn right (head northwest) on Mackinac Trail. In 3 miles you will come to M-134. Turn right (head east) on M-134. 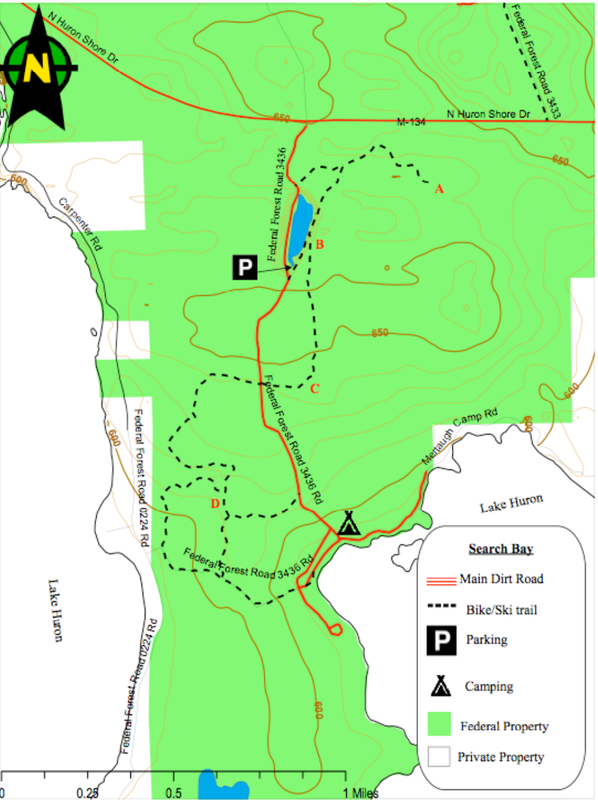 In 9.5 miles you will come to the entrance to Search Bay US Forest Campground. The entrance is past St. Martin’s Point Road and immediately before it is a small brown sign indicating a campground. Turn right into the campground road (FR 3436/Search Bay Rd.). After driving approximately 1.1 miles you will come to the lakeshore and a T in the road. Park in an empty campground site immediately before the T.
This area is popular with local people. Not many others know about it. A few picnic tables are here, and a few non-reservable dispersed campsites. This is strictly primitive camping - no toilets, no water. If camping make sure to properly dispose of waste. ​Small boats can be launched at the boat launch here if water levels are high enough. Campers are asked to follow the principles of no-trace camping and leave the area as clean as it was when they arrived, or even cleaner. Many of the points extending into northern Lake Huron are privately owned with little public access. This is one of Michigan’s premiere spring migrant hot spots. 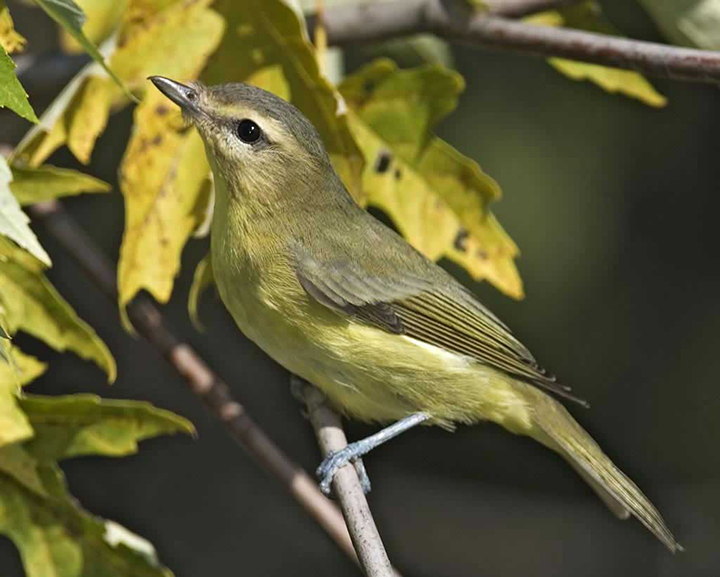 Mid-May through early June is one of the best times to watch migrant song birds feed along this shoreline. Warblers, such as the Bay-breasted, Canada, Blackpole and Black-Throated Blue are all common sights here in the spring. 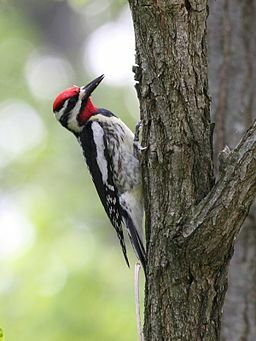 In addition, species, such as the Philadelphia Vireo, Scarlet Tanager and Yellow-bellied Sapsucker can be found during migration. If you arrive early in the morning after a good south wind, the warblers will be dripping from the trees. In particular try walking near the T in the road that can be found at the shoreline. If you walk to the right (generally south) at the T in the road, the small shrubs and trees can be a great place to see warblers close up. The waters over the open bay can also be a great place to view waterfowl such as Common Goldeneye and Bufflehead. In addition the shoreline can turn up a number of interesting raptor species such as Northern Goshawk and Golden Eagle. In the summer months you can still find over 10 species of warblers breeding at this location, along with breeding Winter Wren, Common Mergansers, and Bald Eagle. Do you enjoy biking? 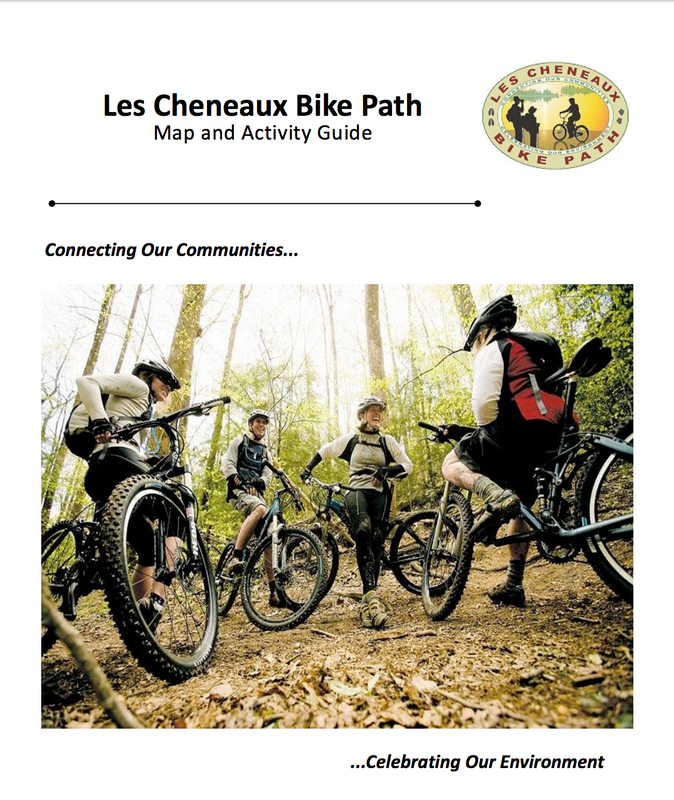 Check out the Les Cheneaux Bike Path. There are miles of trails for exploring and birding at the same time.